Merry Christmas from the Paulthetall.com team! On December 22, 2017 | NewsComments Off on Merry Christmas from the Paulthetall.com team! On December 19, 2017 | GOG.com Games, Portingkit, Wrapper updatesComments Off on Some wrapper updates! SWAT4, Empire Earth 3, Mirror Edge, Riven, The Guild 2 and Desperados 3 – Helldorado! On December 13, 2017 | GOG.com Games, News, PromoComments Off on GOG.com Winter sale started with free Grim Fandango and hundreds of sales! Awesome news! 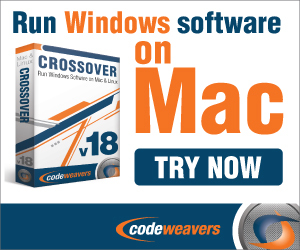 Crossover 17 (Mac/Linux) has been released! As every year in the end of the year, Crossover releases a new update, and this one took some time to be released. had a lot of beta’s as well. So finally it’s there. Crossover is a paid Porting Application product of Codeweavers, just like Porting Kit is, but then more advanced and features. Besides that they are the main contributors of the Wine project, and Wine project would be still in the stone age without their support. So its highly recommended to have this app and by doing so, you support the Wine project, and when using the links here, also the Porting Kit project! If you don’t own Crossover yet, then get it using the links mentioned here, and get a 25% discount with the code “portingover”! Enjoy the new app!